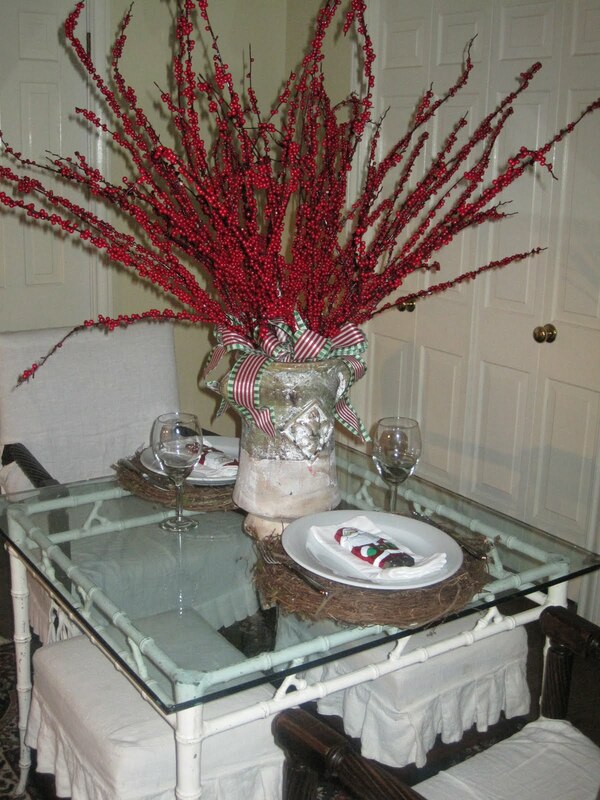 The table in the library, big branches full of red berries, with ribbon run in and out. 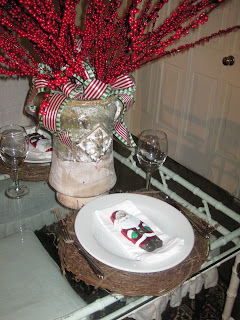 The plates are on top of grapevine wreaths, and I love precious Christmas candy, so Ho, Ho, Ho Santa is sitting on top of the napkin. I bought 25 of these foil covered chocolate Santa's, they will be in a antique wooden bowl I have until a Christmas party I am having and then they will grace every ones plate. They are traditional, fun, and shiny. HI, I MET YOU AT WALGREENS, I LIKE YOUR CHRISTMAS STUFF!